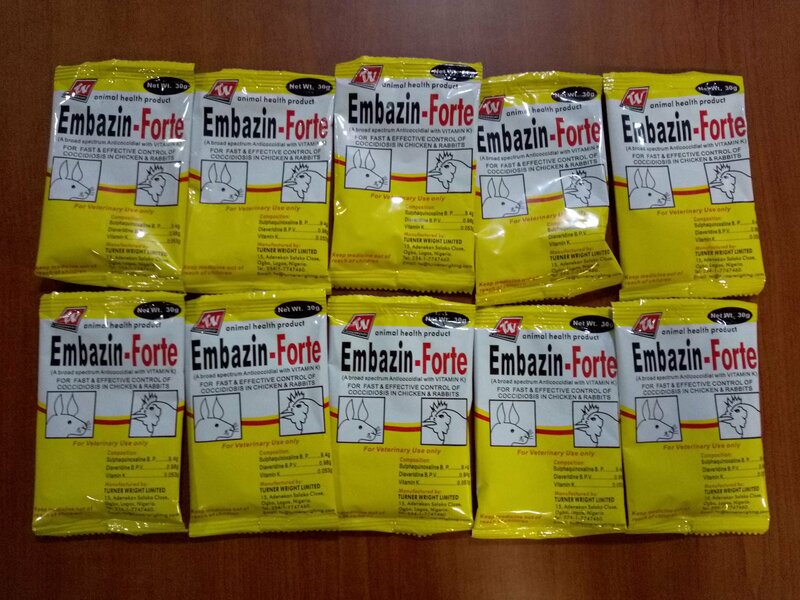 Embazin-Forte is a broad spectrum anticoccidial agent indicated for the fast and effective control of coccidiosis in chickens and rabbits. 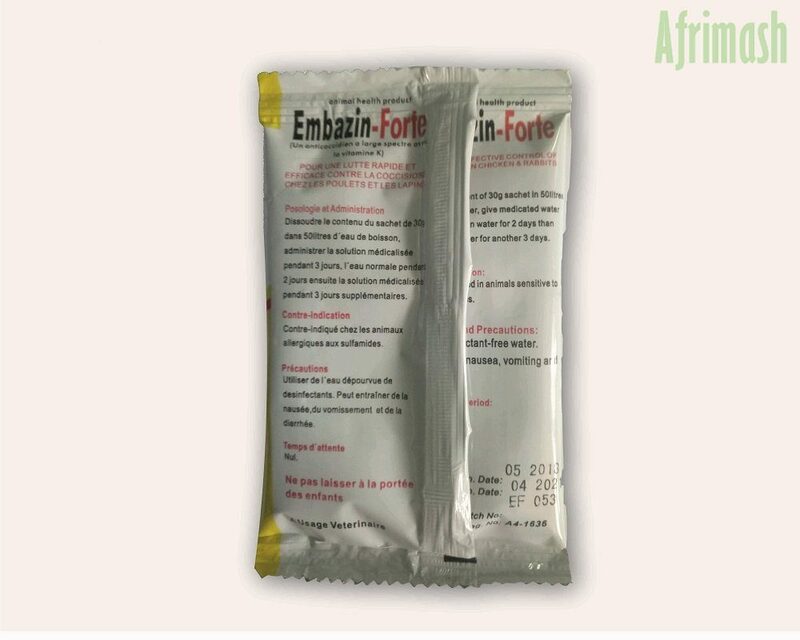 Embazin-Forte is a broad-spectrum anticoccidial agent with vitamin K.
Dissolve content of 30g sachet in 50 liters of drinking water, give medicated water for three days, plain water for two days then medicated water for another three days (3-2-3). 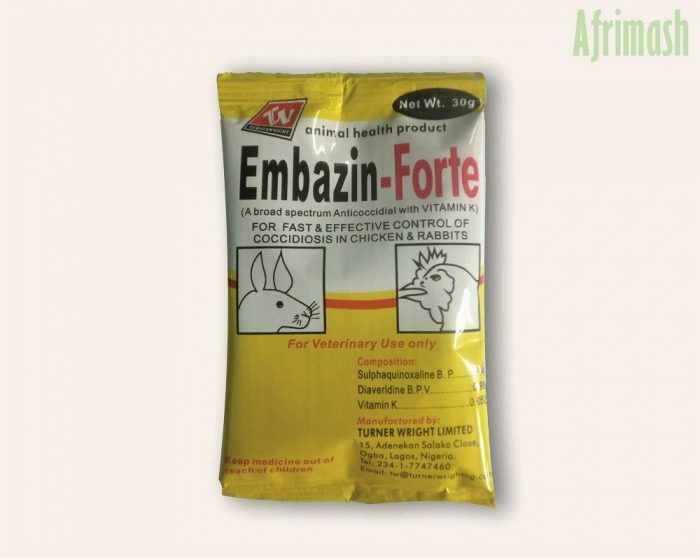 Contraindicated in animals sensitive to sulphonamides. May cause nausea, vomiting, and diarrhea. Store in a dry, dark place (max. 30oC).